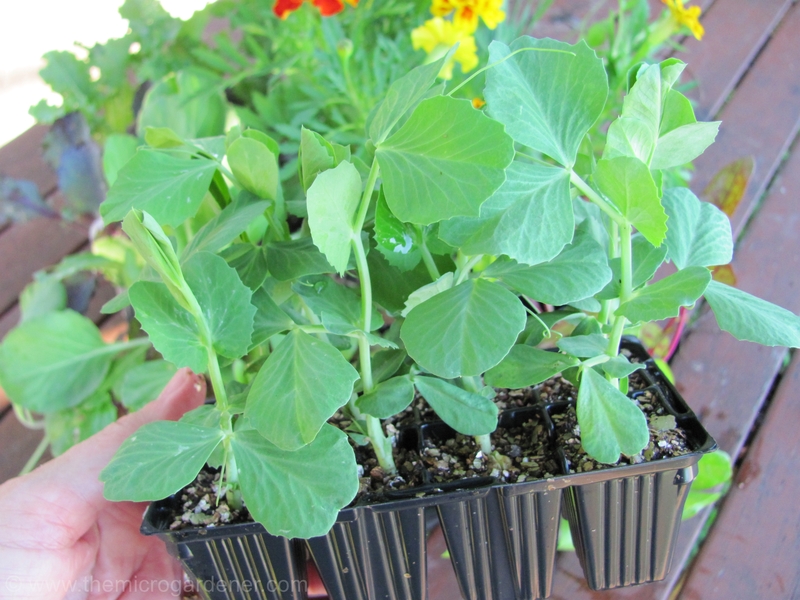 Peas are an easy seed to sow and save. However, like all edible seeds, I encourage you to choose safe seeds. Organic, heirloom and open-pollinated seeds from reputable seed suppliers, who grow without chemicals, including fungicide sprays to stop rodents and insects eating seeds in storage. Your health is at stake! If you buy hybrid seeds, you won’t have an opportunity to save free seeds for next season. 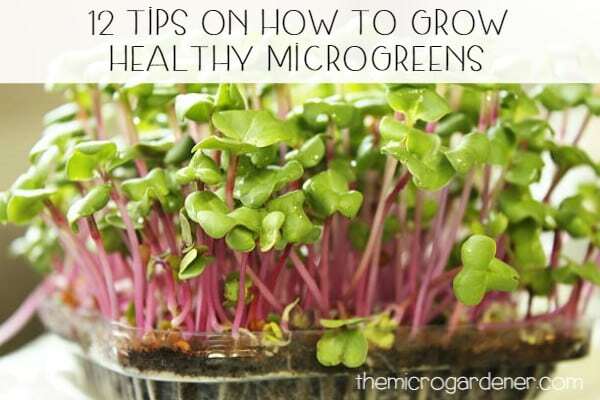 You can also grow peas as microgreens (just for the quick growing shoots, rather than waiting for the whole plant to grow and produce pea pods). Learn more about sourcing and saving seeds here. Just to avoid any confusion, there are three main types of edible peas (Pisum sativum). 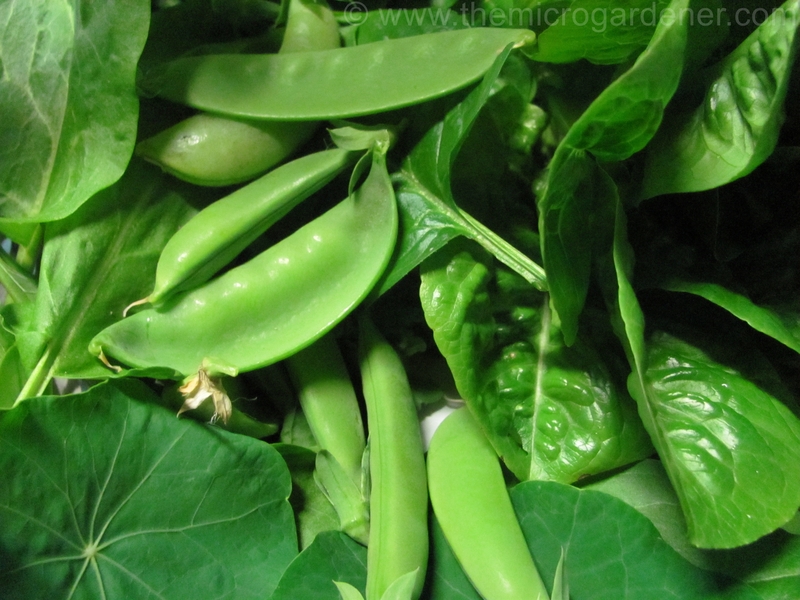 Shelling or podded peas, snow peas and sugarsnaps. These are all delicious and nutritious. However, there are also Sweet peas (Lathyrus odoratus) grown for their incredibly beautiful and fragrant flowers. They have lightly hairy leaves and pods, but are mildly to moderately toxic to humans and pets. If you have a dog or cat that is prone to taste testing from your garden, please consider this before growing sweet peas. 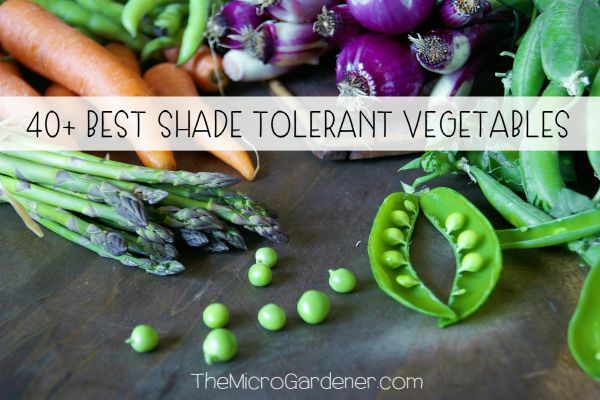 Peas love cool, frost-free growing conditions. They suit cold climates/cool seasons. Pea flowers are affected by frost and pods won’t form. So check the best time to sow for your local climate. I get best results by sowing in the first moon quarter of the month to take advantage of moisture in the soil and a time of prolific growth for above ground plants like peas. Personally, if the humidity is above 70% and temperatures are still high, I hold off planting seedlings and sow seeds instead. By the time they are ready, I hope the weather will be more favourable. Peas will grow, develop flowers and fruit in about 10-14 weeks depending on the variety. Peas can take up to 3 weeks to mature from flower to pod. Sugar snap pea flowers on a young climbing variety. 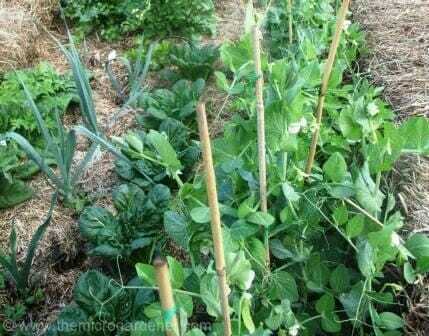 Peas need staking or a trellis for support as they grow. Choose snow peas because you don’t have to wait for the pods to fill. A great choice for kids and impatient gardeners! Start with seedlings rather than seeds. You’ll save 3-4 weeks. Try planting a few pea varieties if you want to stagger your harvest time. Peas are low maintenance, easy plants to grow. After seeds germinate, plants usually only need watering, support and harvesting. Peas like well drained loamy soils, with plenty of organic matter and a soil pH 6.0-7.5. Peas prefer a sunny spot but not extreme heat or too much wind. They like moist soil but not waterlogged feet! In humid conditions, avoid mulch up too close as this can create an environment for powdery mildew to grow. Avoid planting peas in the same container or near garlic, onions, chives and spring onions. These plants tend to compete and stunt plant growth. I’ve tested this out and I’ve had the same result for beans! 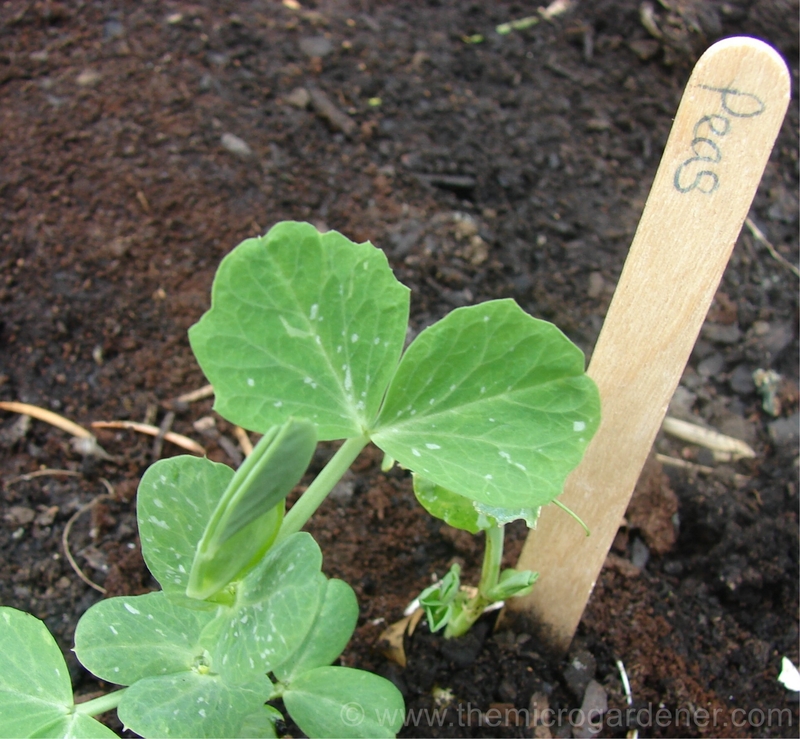 Peas seem to grow well planted with beans or with low-growing carrots, radish and turnips. Pre-soak seeds overnight in warm water to soften the seed coat. Spraying liquid seaweed on the seeds when planting helps stimulate germination and promote stronger growth. As a general guide, sow seeds directly into moist soil or seed raising mix 2-3cm (1in) deep. As a guide, I sow 6-8 seeds in a 20cm (8in) pot and a few more in a 30cm (12in) planter. Sow 10cm (4in) apart or in rows about 60cm (24in) apart to help air circulation and prevent disease in a garden bed. Wait until seeds germinate (sprout) before watering again to prevent rotting. Carefully transplant seedlings when 5cm (2in) high. If you are growing more than one variety, separate them in different containers or garden beds if you want to save seed. This way, their vines don’t intermingle and you can correctly identify them. Always use plant labels! Both climbing and dwarf pea varieties need support. Maximise vertical space by training climbers to grow up corn stalks; a boundary fence; lattice; stakes; a trellis; tepee/tripod; or frame with wires, string or horizontals every 20cm (8 in) or so to support their growth. Vertical structures like these pea tepees make harvesting and maintenance easier. Two old bike tyre rims from a bicycle shop were cleverly upcycled into a pea trellis. 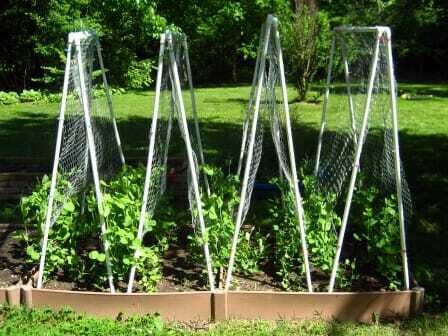 Pipe & chicken wire A-frame pea trellises – if you want to make a similar design remember to avoid plastic made out of PVC (recycle number 3) as this leaches toxic chemicals into your soil. Look for a safe alternative. 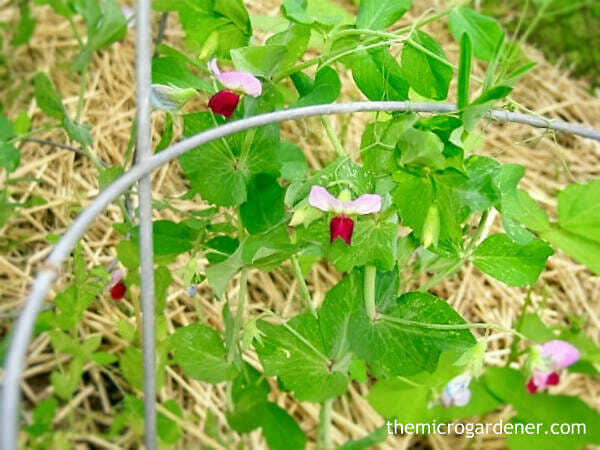 Dwarf peas grow better supported by pruned sticks or bamboo canes to help minimise pest and disease problems. 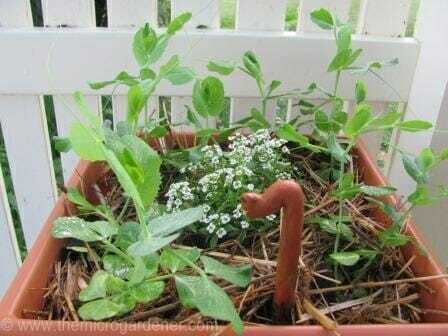 If you have no vertical supports, plant dwarf peas in a hanging basket to grow down for easy access harvesting. 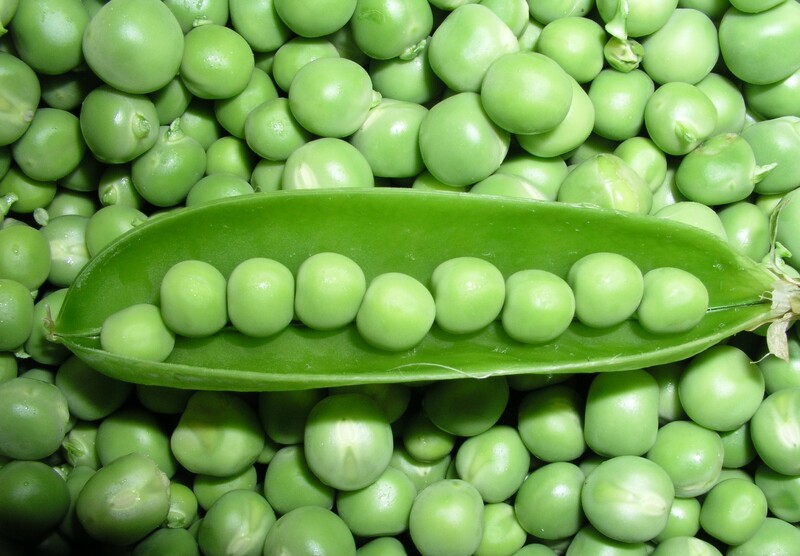 Peas are light feeders and produce their own nitrogen in the soil, so they are a cheap crop to grow! Avoid over fertilising your soil or the plants will produce leaves but not flowers and pods. 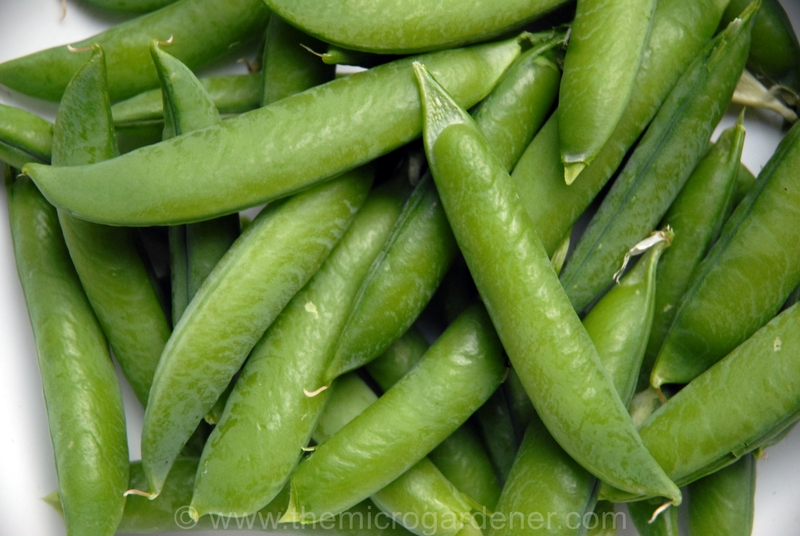 Snow peas, sugar snaps and garden peas are all members of the Fabaceae (legume) family. They help to ‘fix’ nitrogen in your soil in a form your plants can easily take up, with the help of bacteria around the roots. These soil bacteria convert nitrogen from the air into plant food. Pretty cool hey? Growing legumes (like peas and beans) helps feed and improve your soil without buying in fertiliser! Saves you money too. Peas have shallow roots so mulch well to avoid weeds and retain soil moisture. Watering: Keep soil moist while flowers and pods are developing. This is critical to their healthy development. Pinch out the shoots at the top of each plant when you see the first pods are ready to pick and add to your salads. This helps stimulate the plant to produce more pods. To make the most of the free nitrogen in your soil after growing peas, plant leafy greens or a heavy feeding fruiting crop like tomato, capsicum, chilli, eggplant or potato. There will be much less chance of fungal diseases by rotating crops from different families in the same container or garden bed. Add compost and organic soil conditioners seasonally (rock minerals and complete organic fertilisers). Apply liquid seaweed as a foliar spray on warm sunny days to strengthen plants and build resistance to disease. Sowing early in the season may also prevent pests from affecting growth and production. Pick your peas just before you want them on your plate! Eat as soon after harvesting for freshness and flavour. Harvest when the pods are bright green, full and plump depending on the variety. 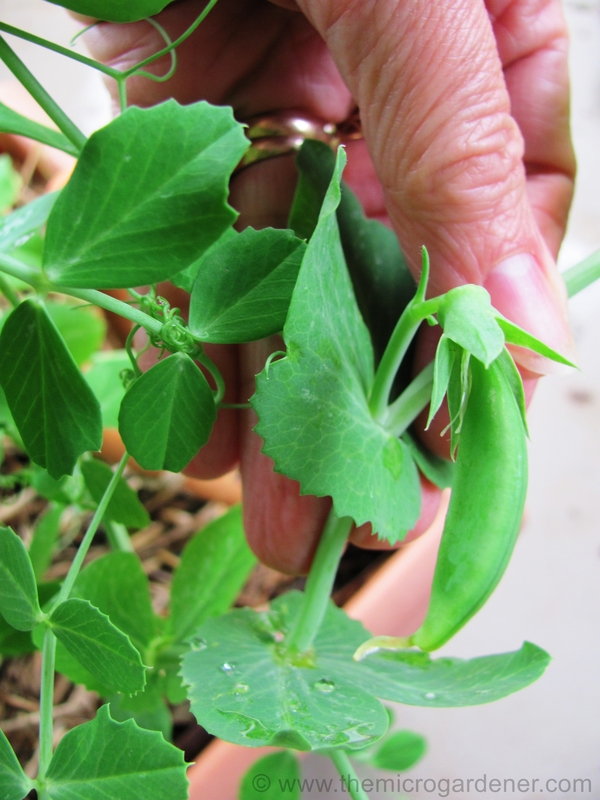 Start picking from the bottom of the plant and work up to the top, holding the plant in one hand and snapping the pea off with the other to avoid breaking the stem. Regular picking produces more peas. Snow peas are great value because you eat the whole pod, seeds and all before the peas mature. They have a longer harvesting period (5-6 weeks) than garden peas (2-3 weeks). 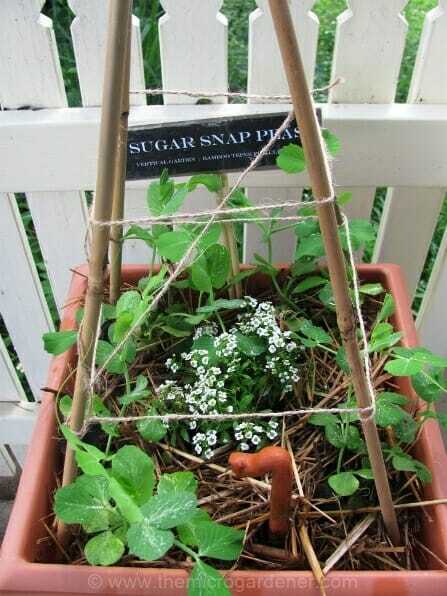 Sugar snap pods have thick walls and are picked when the pods are plump and round. 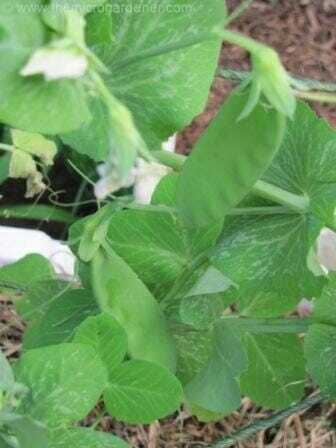 Garden peas are eaten when they are mature by discarding the pod and shelling the peas. Pea shoots (the top 5-7cm) can be picked and used in stir fries or salads when the plant is at full height. 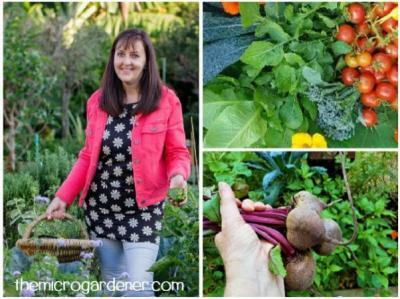 After your plants have stopped producing flowers and pods, harvest the leaves for salads and stir fries. Avoid leaving pods on the vine unless you are saving for seed, otherwise your plant will age and stop producing pods. Check vines daily. Over ripe pods become too starchy to eat but you can still dry them and save the seeds instead. After harvesting, leave roots to rot in the ground to release nitrogen in the soil and feed your next crop. 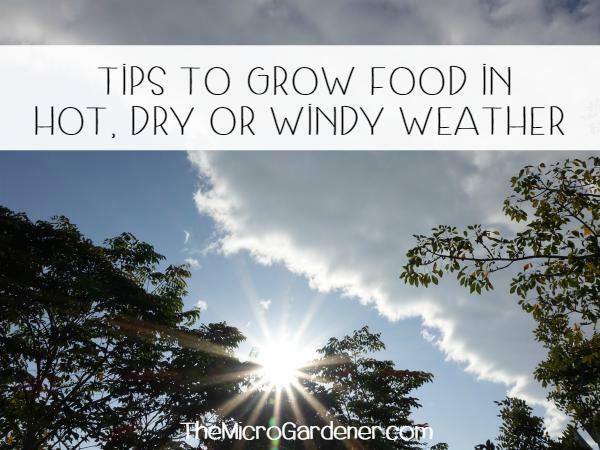 To save money and grow your crop for free next season, allow pods to dry on the plant until they go brown and brittle or cut at the base and hang to dry under cover. 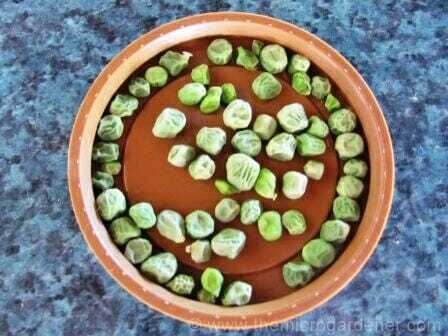 Remove dried peas from the pod and leave on a tray or plate for a few days. Store in a self-seal bag in a labelled envelope with the variety/date in a cool dark place or an airtight bottle with some dry rice to absorb any moisture. Enjoy them as sprouts, stir-fries, Asian dishes, soups, pasta or any number of other recipes. Sprouting: Peas and snow peas can be grown as nutrient rich tasty sprouts, microgreens or added to breads, salad garnishes and soups. Cooking: Fresh raw peas have maximum nutrients and flavour so if cooking, use minimal water and stir fry or steam quickly until just tender. Boil frozen peas for about 1-2 minutes. Drying: Allow peas to air dry for a few days then store in a sealed jar in your pantry to use in soups or casseroles. The texture, flavour and nutrient value won’t be the same as fresh or frozen peas although this is an alternative to extending your harvest. Pre-soak peas overnight before cooking. Freezing: Pick, shell and blanch in boiling water for 1 minute before cooling. Then bag and freeze immediately. Sugar snap peas can be blanched for 2 minutes, cooled and frozen whole also. Too many or too few? If you don’t have enough fresh peas for a meal or have an abundant harvest, freeze fresh peas in plastic bags or containers. If any peas actually make it into your kitchen and aren’t consumed while you are picking, there are plenty of yummy ways to enjoy them. A quick to prepare salad with fresh ingredients. * Persian feta is from delis, or use other marinated feta. Pea shoots are available from greengrocers. For the dressing, combine the crushed garlic, lemon juice and honey. Slowly whisk in the extra virgin olive oil. Stir in the mint and season with black pepper. In a large pan of boiling salted water, cook fresh peas for 5-6 minutes (3 minutes if frozen), adding the sugar snap and snow peas for the final 2 minutes. Drain and refresh under cold water. Cool completely. 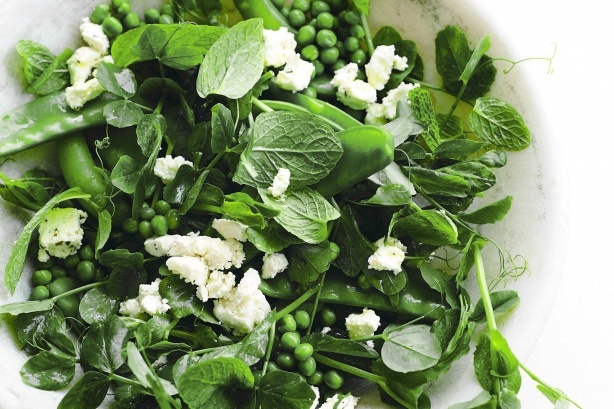 Place the vegetables in a large bowl with the pea shoots, feta, mint and dressing and toss gently to combine. Thanks for all the info! Do you know about how much I’d get if I’m harvesting the pods at a very young stage? We sell microgreens to chefs and we’ve had them request the very young pods so I’m trying to figure out what type of yields we’d get on them. Any information you might have would be much appreciated! Sorry I can’t give you yields for young pods. 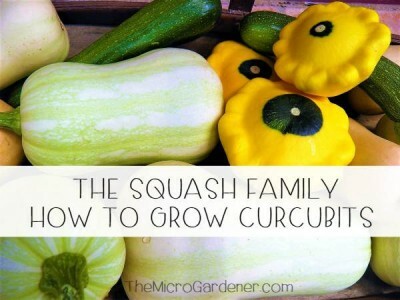 Every variety is so different and there are lots of things you can do to help with growth too! For instance, you can sow in the right moon phase to boost seed germination and growth. I do this all the time and just use a simple Moon Calendar that was developed by farmers. It takes the hit-and-miss timing out of sowing seeds so you KNOW they have the best chance of germination and healthy strong growth. i.e. the roots develop quickly and the bush/dwarf variety will grow leaves faster so you get pods sooner. If you get this right, it could have a big impact on your business. Timing makes a big difference to your yields. I suggest you do some testing with some high yielding snow pea varieties that grow well in your climate. Compare the results and at least you’ll have a product to sell as part of your experiment. My peas have begun to develop black spots. The upper parts of the plants are green however lower part of the stems a few centimeters about the ground are brown and thin and the stem and lower leaves of the plants have developed black spots What should I do ? It sounds like your peas may have developed a disease called Ascochyta Black Spot or Ascochyta Blight that affects legumes/pulses. Without a photo, the symptoms sound like this could be the most likely problem. This article has a couple of photos that may help you identify if this is the case. Ascochyta Black Spot disease is caused by a fungus that can infect the parts of the plant that grow above ground. It most commonly occurs when weather conditions are favourable – cool, moist, cloudy and humid. It’s spread by wind or water splash (either by rain or watering the foliage instead of the soil). Other factors that can cause this problem include poor air circulation and planting in the wrong season. Because this disease can survive in the soil for several years, it’s important to destroy the affected plants and bin them. Rotating your crops every 3 years is an important way to prevent any plant disease in your garden. So where you have your peas, don’t plant any legume crops again during this period. i.e. 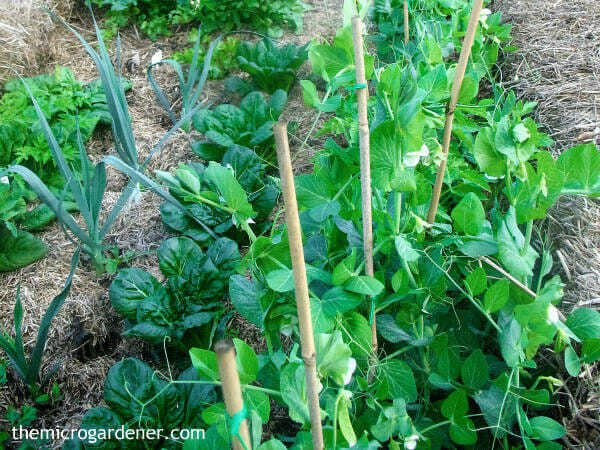 beans or perennials with pods. If you want to save your crop, you could use an anti-fungal spray such as Eco-Fungicide or make up your own. This may buy you time to harvest the last of your peas before chopping back the vines and destroying them. It’s important to use healthy seed too, so make sure you start with organic pea seed from a reputable supplier. See my article on Saving and Sourcing Open-Pollinated Seeds for more tips and suppliers. 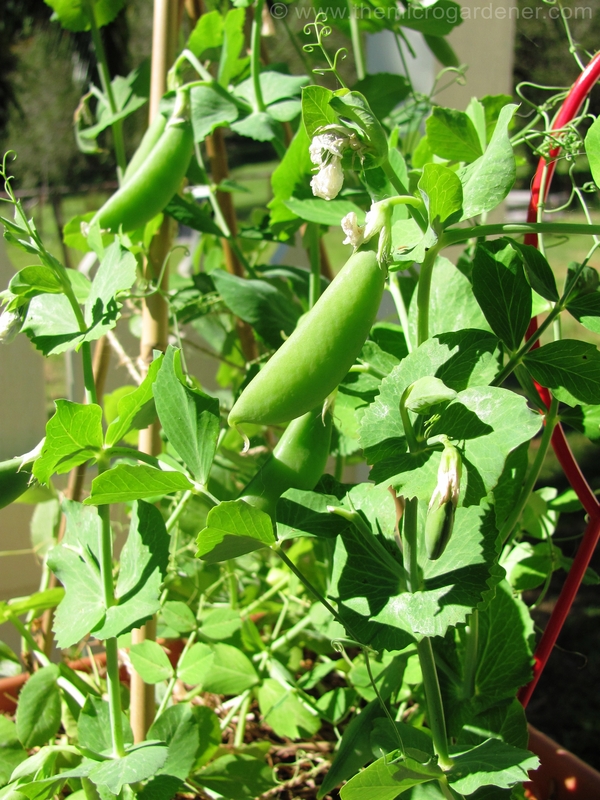 Other tips are: Only sow peas during cool weather – they are NOT suitable for growing in warm humid weather. Remember to never overcrowd peas – they need good air circulation so pay attention to spacing. This site teaches me everything about farming I need to know! 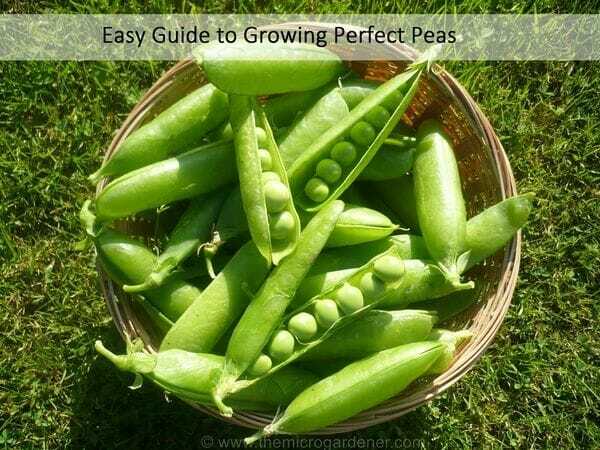 Perfect guide on growing not just peas,.. but “perfect peas”. Thanks Anne, sample pages are in your email. The book will be available November 15. Thanks for sending those through Mark. All the best with your book project! Hi Mark thanks for requesting permission to use one of my images. You may have permission to reuse the photo but the correct attribution is the direct link to this page i.e. 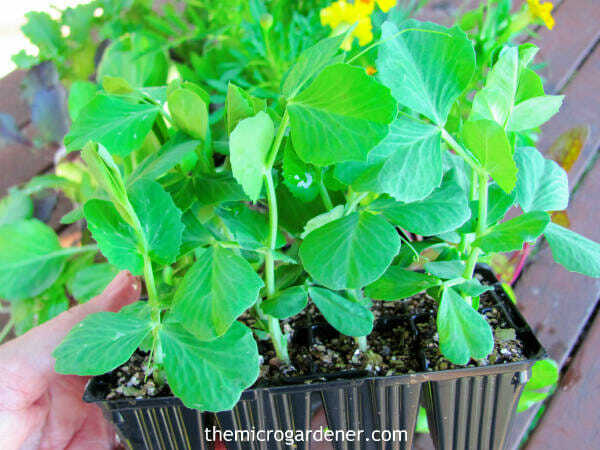 https://themicrogardener.com/easy-guide-to-growing-perfect-pea/ rather than just a general link to https://themicrogardener.com. Please see my Copyright page for more details. I would appreciate seeing the final page before publishing. You can email me. Many thanks for your interest and best of luck with your project. I love growing peas in my garden. My plants are only about 2ft high. The leaves are getring a lighter shade of green along the veins. Is that normal or are my plants in need of a remedy? I have been growing peas inside for the winter. Just like growing micro greens. Awesome in salads and smoothies. Thank you for the great tutorials. A lovely summary of peas. What a beautiful page on growing peas. We love them too. One thing I would like to add is picking the growing tips of the vine. They are delicious raw or in a braised dish or in soup. Tender and sweet. I think picking off the tips also stimulates secondary growth and gives a bushier plant instead of one that is too tall.